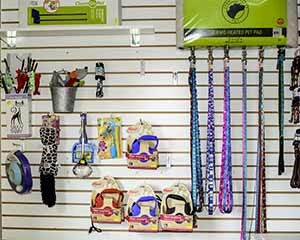 We have cool collars & harnesses for your special dog or cat! 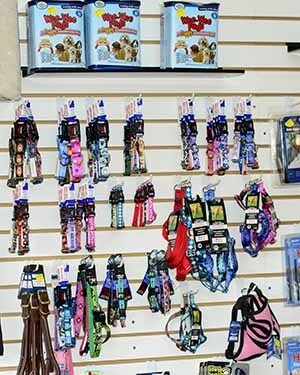 Stop by and check out all our products for your furry pals! 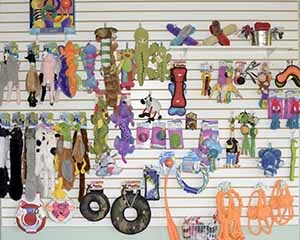 We have collars & leashes, toys & balls, beds & coats, toys & treats, rawhides & bones, toys & water bottles, pee pads & bowls, and did we mention TOYS! 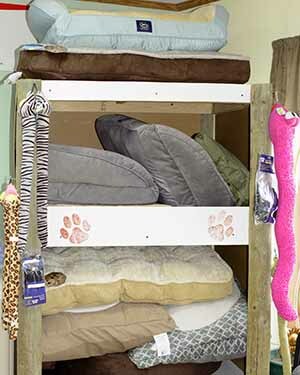 Imagine how happy your furry friend will be when you come home with a treat from Happy Tails! 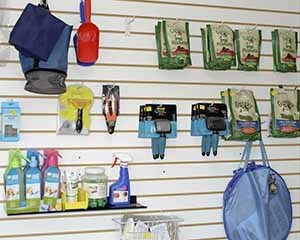 Brushes, nail clippers, shampoo, & flea spray are available! 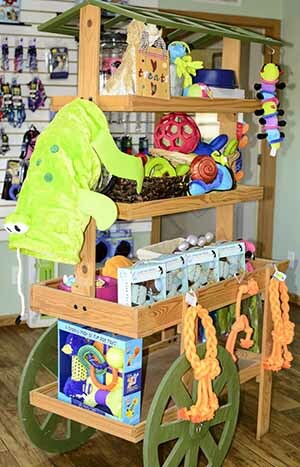 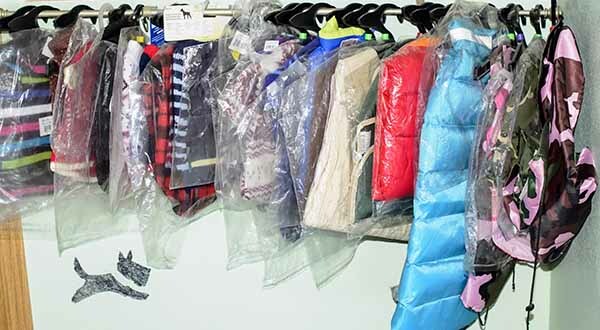 Keep your pet warm and comfortable with a new coat or sweater!